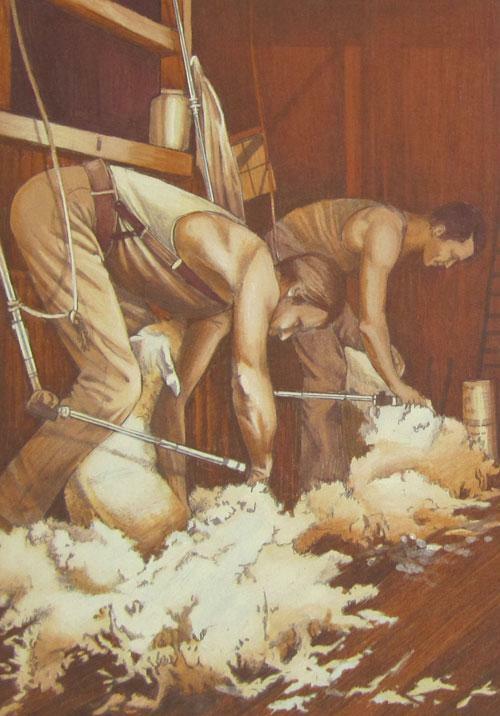 Hard at work, these shearers are depicting our famous shearing legends. Now available in this large A1 size. Pre-shaded on Non-Woven and measuring a large 52 x 76cm. Using colours:1, 12, 14, 66, 84, 85.